Our furthest point driving southeastern of our Iceland adventure was Jökulsárlón, a giant glacial lagoon. 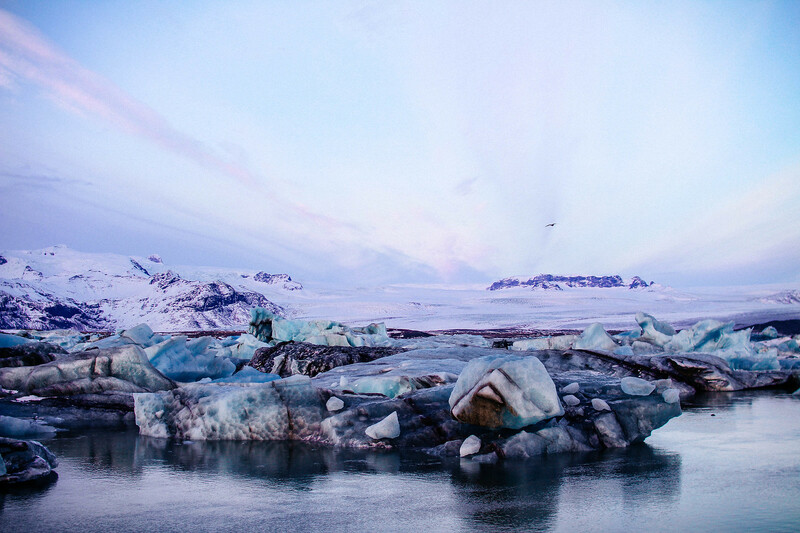 Bordering with Vatnajökull National Park, it’s calm icy waters are surrounded with icebergs from the surrounding Breiðamerkurjökull Glacier. 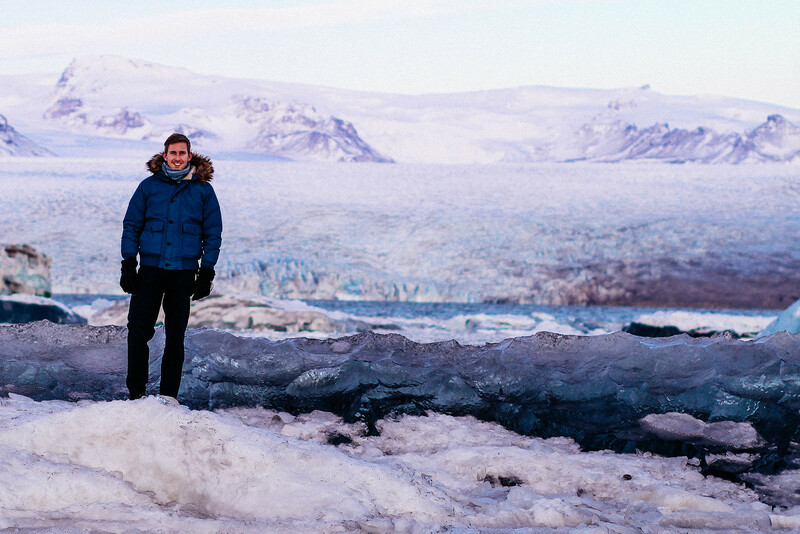 I find it hard to describe the amazement of our arrival at the Glacier Lagoon. Visiting Iceland in late November meant we were pushed for time against the sunset. We decided to play things safe and save our visit for the following morning. Heading to our hotel for the night just past the Glacier Lagoon, we were treated to the delight of passing the lagoon at sunset. Seeing it in a passing moment I already knew this was going to be the highlight of our visit to Iceland. Eagerly awaiting sunrise the following day, we were wrapped up and ready to catch the colours of the morning light on the icebergs. Tripod in hand we arrived first to the Diamond Beach, a short drive or walk just across the bridge from the Glacier Lagoon. 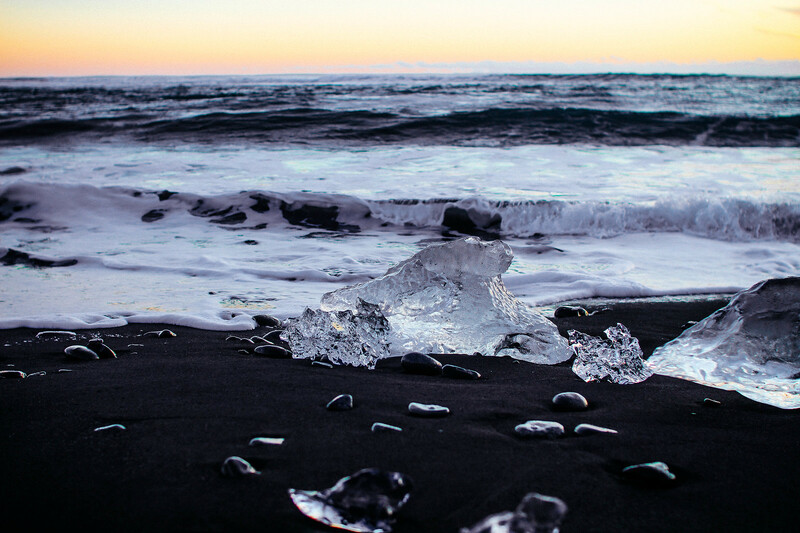 Here the shards of icebergs lay washed ashore against the dramatic backdrop of the black sand beach and flowing waves. I’d strongly advise the Diamond Beach first for the most spectacular scenes of sunrise. 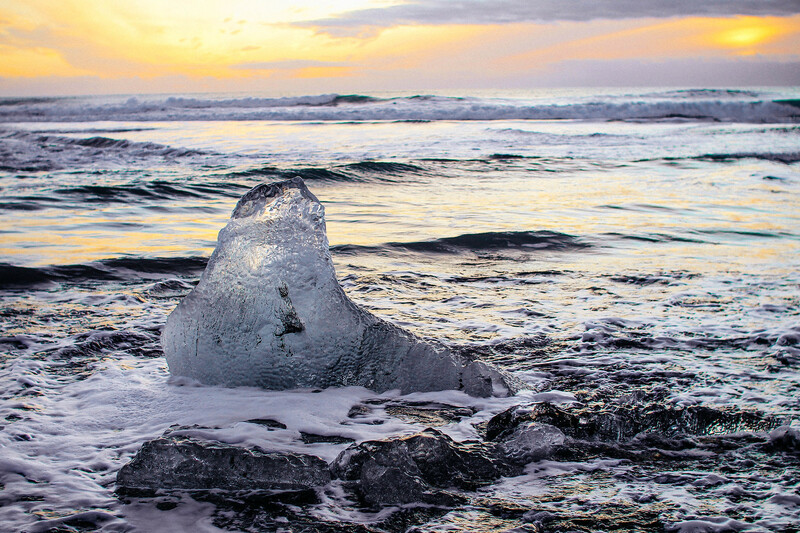 The Diamond Beach not only offers more opportunities to get up close with the icebergs, but it’s facing the correct way for sunrise too. Most people seemed to have parked at the Glacier Lagoon as this is also where tours leave from, but be sure not to miss the Diamond Beach. Back at the Glacier Lagoon you might be lucky to spot some seals. Winter is their key season for being filled with fish which are the seals main attraction to the lagoon. 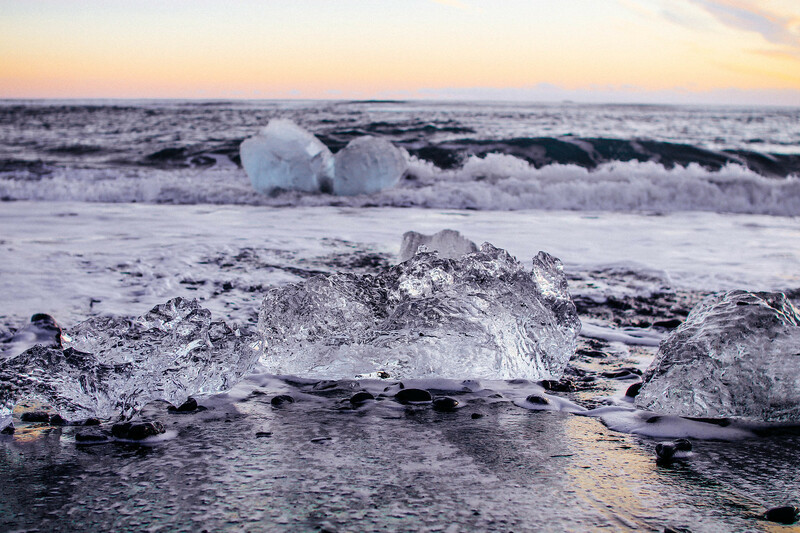 You’ll spot them floating happily in the water, or taking a rest upon the icy banks of the icebergs which cluster in the middle of the lagoon. 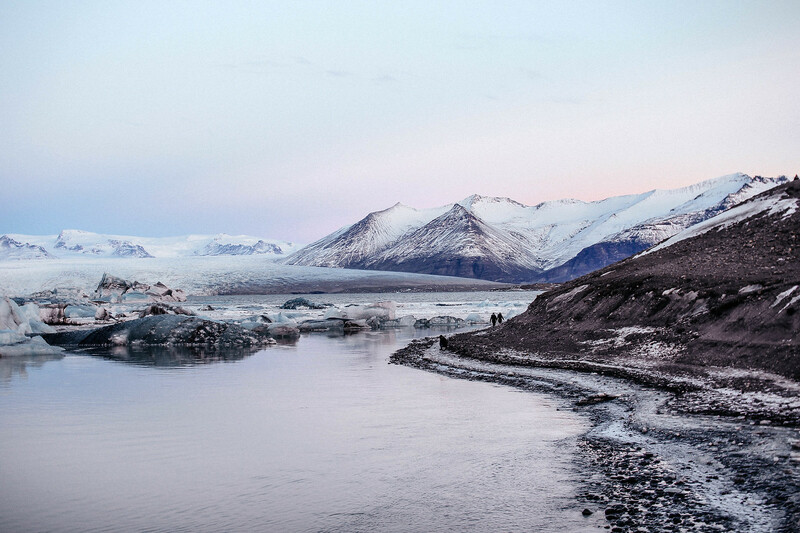 Take a short walk winding up the hill at the Glacier Lagoon to get the best views. 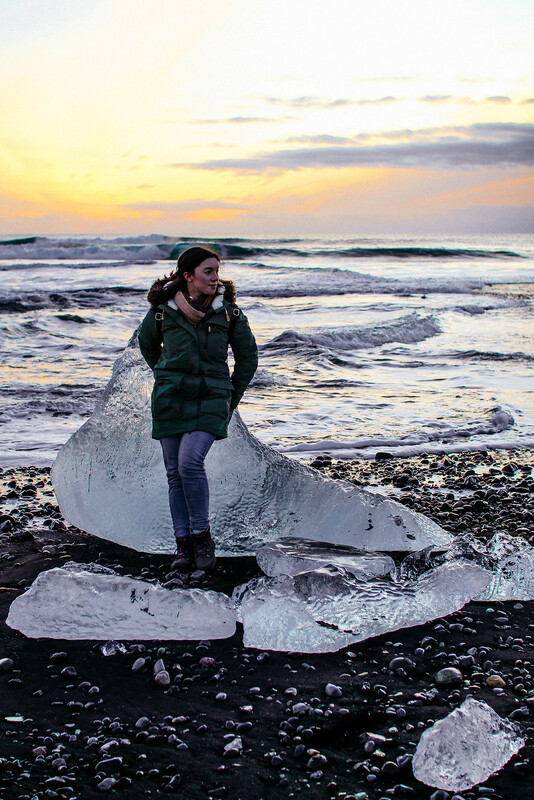 If you’re feeling brave and the ice is thick and safe enough, take your chances walking across the vast cluster of icebergs as you wind further into the lagoon. Be careful though, it’s very slippy! Naturally I stayed safe with our camera equipment and surveyed from afar whilst Luke took his chances! 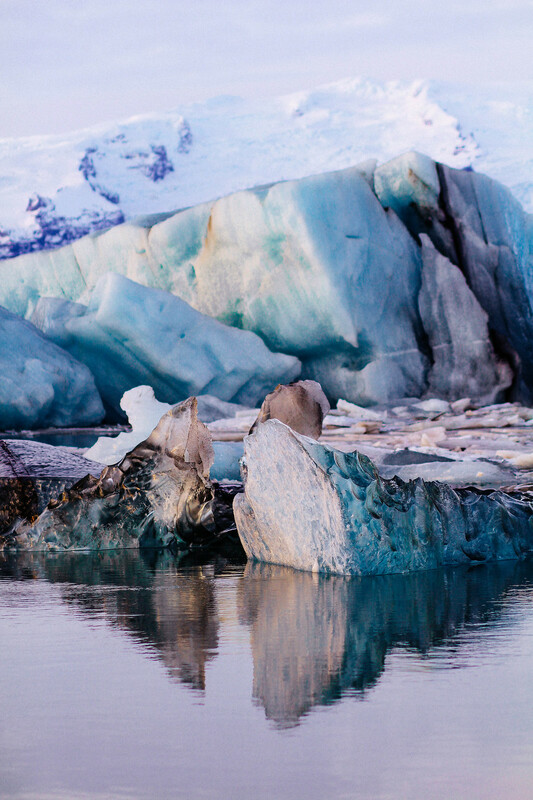 If all of that isn’t already enough, there’s also the opportunity to head out on boat tours to get even more up close and personal with the icebergs in the lagoon. 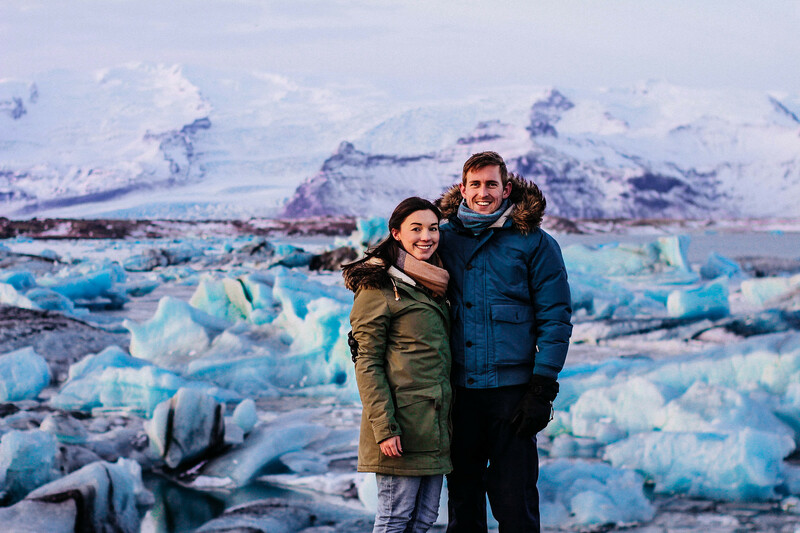 There’s also a tour which will take you on a day trip to see ice caves within the lagoon, but all of this depends on how much time you have to dedicate to your visit. 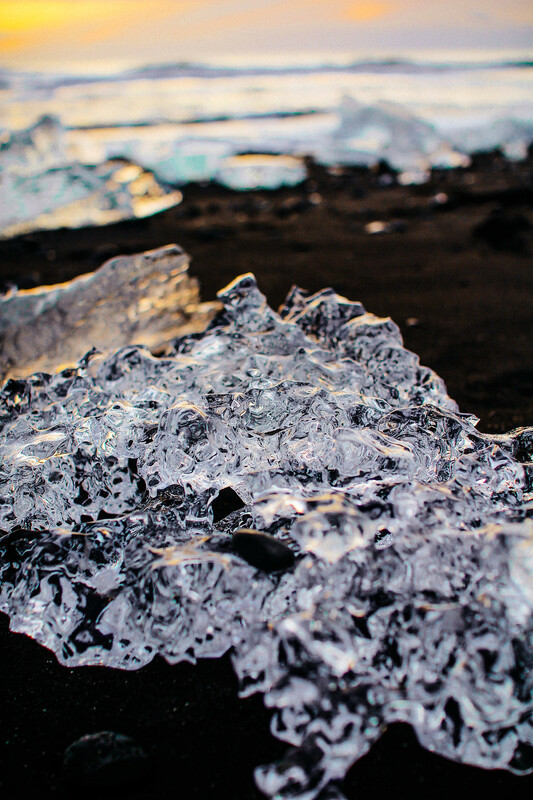 We spent a full morning at the Glacier Lagoon and Diamond Beach. Although I could have stayed there forever, it is incredibly cold and at -9C on the day we visited, I was dying to warm up over a hot chocolate at our next stop in Vik. 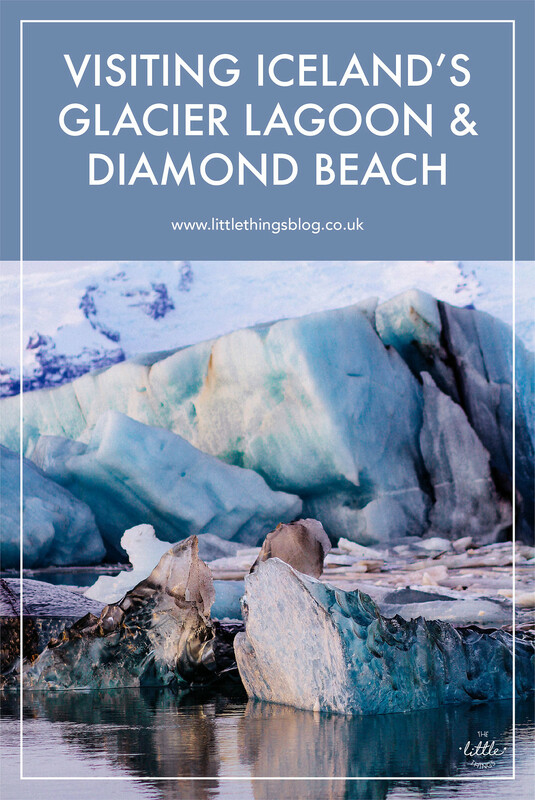 Will you be making a visit to the Glacier Lagoon and Diamond Beach?